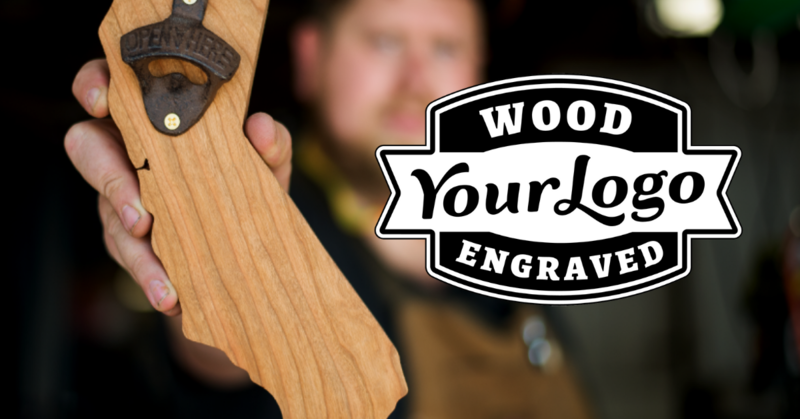 Custom engraved products make for an excellent way to promote your business or thank your team. We can replicate almost any logo on wood. Monochromatic logos work best, but even colored logos can be tailored to have contrast with the type of engraving we use. For each custom engraving, we take your design files and convert them to be readable by a laser cutter. After we complete a test run and you approve the design, we can replicate that logo as many times as you need on a variety of products. For each engraving, the additional charge is $8. 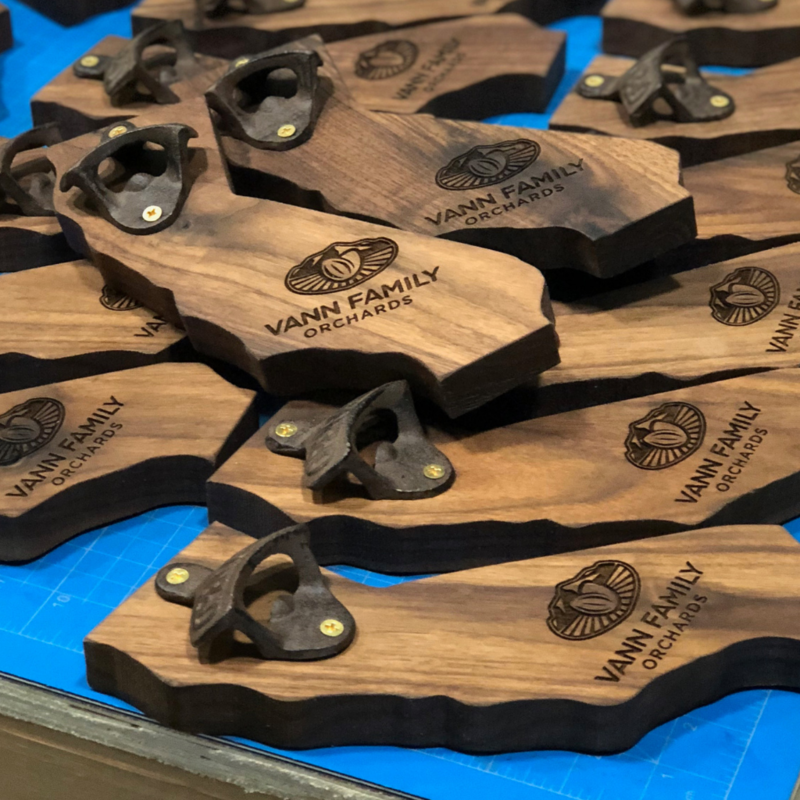 There is a minimum order of 20 Bottle Openers for custom engraving jobs. Tell us how many you need, when do you need it by, etc.